We will probably not be ONE Country here on Earth with just one tribe, the earthlings, in the foreseeable future. We will have to do with many small tribes. But what we can do is make sure that we are all on the same global quest. To make our Planet Earth a place where we can live and evolve for many million of years to come. We now have the tools to do this in our new Network Society. Many of us stick to our Family Life out. Our closet family can be by blood or by design. But The Nuclear Family that has been the design in the resent 100 years after the great wars is not the way to go into the future. We are now in position to choose our extended family and I think we are beginning to thanks to the Networked Society. Join a tribe. It is now more than ever possible to join or create your own tribe. Internet and Social Media has made it very easy to find your own kind. People how has the same interests or set of beliefs or burns for the same passion. Seth Godin also talk more about the modern tribes and how to create them. Start a new Religion. Renowned philosopher Alain de Botton argues that despite the falsity of supernatural claims of religion, they still have very important things to teach the secular world. Yes I too think our society has become visionless. It’s all about your own personal pleasure. We need a better community and we need something to work together towards. We need to start doing things together that matters. We all live on a Spaceship. And we need to be reminded of that on a daily basis. This is our only home. But no one is acting like it. We expect someone else take on the challenges mankind faces. If we plan to make Planet Earth a permanent home for the human race it must present en every action we take and all plans we make for the future. Not just shortsighted plans for the coming year on how to make profit for our Company or our Nation State. We must have a global vision for Life on Planet Earth. We have now reached the end of growth. But yet politicians still lie and do nothing about it. You must find what you are good at and have a passion for. And hopefully we will get paid enough by doing it. I am an agent of change. I’m in the middle of changing myself and want to work with helping others to change and build this new society together. What he implies is that we learn all our life and some of the most important stuff are not taught in school … yet. 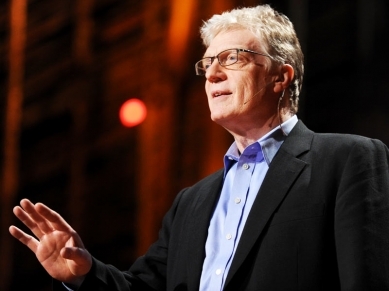 You may just have seen some of Sir Ken Robinson’s TED speeches. If you haven’t you should do it right now. Go on. I’ll be waiting here while you do it. – You learn by doing. – You learn when it is fun. – You learn when you know why and how to use your learnings. Here in Sweden there have been the Event SETT dagarna with is a Swedish variant of the British BETT. Find all the Swedish blogs from the event here: Bloggers-Corner. And here in Varberg we are going the the Event Skolvåren this summer to witch I am going. There is an increasing number of teachers and educators that are joining up on events and Social Media to discuss and learn from each other. Why are they doing this? Because the politicians aren’t doing anything. So they are taking matter into there own hands creating events and discussions under hashtags on Twitter. Not: How good was BETT? But: How great did you make BETT? I think all educators should join small networks where they can discuss and share ideas. Here Google Hangout is an excellent tool to do this on a weekly basis. We need new ways to learn skills and we need to learn new skills. We can’t go on and pretend that the future will be like the past. We need to create a whole new sustainable world. And to do that we need teach our young how to live in this new world. So we need to gather up all the ideas we have on how to do this and discuss them and put them together. Let’s do this together. Todays topic will come tomorrow. Today I had to adapt instead. “Life perpetuates itself through diversity. And this includes the ability to sacrifice itself when necessary. until one day they die, obliterating an entire set of memory and information. Why continually repeat this cycle? 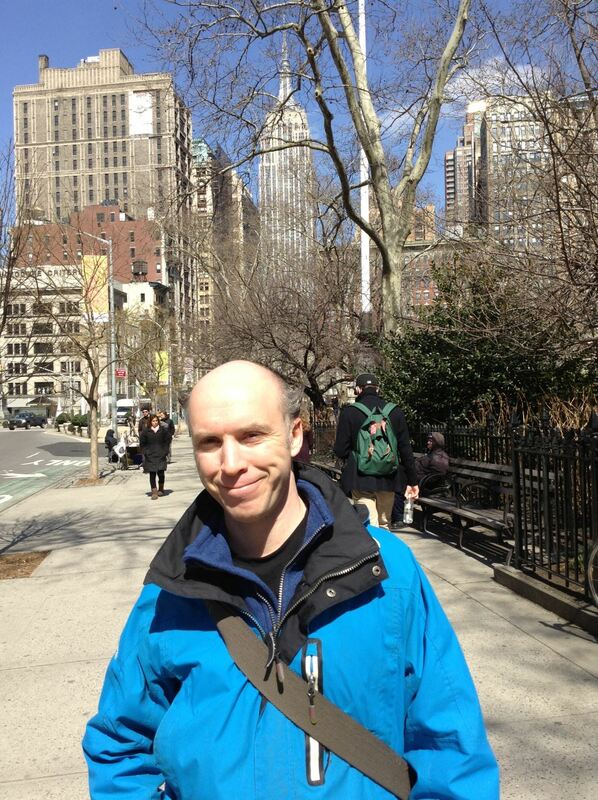 Today Stefan Hyttfors got awarded with Swedish Breakthrough Speaker of the Year 2012. Tomorrow I’m going to speak more about his philosophy. We often see media celebrate winners and heroes and put them on high pedestals. This time of year it is common with various awards being dealt out. But what we forget to celebrate is the ones who got the most “Experience” during the year. I give you Eddie Obeng who puts in “fast” words how to Adapt to fast changing world. He Says_ When your boss tells you to “Take risks and be creative”. What it translates into is “Do crazy things and I fire you”. Also check out Liffemans TED inspiration form today about adapting.